Cross Selling is the easiest way to build a high quality sales pipeline, increase sales conversion rates and boost average order values. So, why do so few businesses proactively run a cross selling channel? In your business you have this source of high quality sales leads, that will cost you next to nothing to harvest, will be easy to contact, happy to take your call and open to what you have to say. And just when you think it can’t get any better…you discover that these sales leads are more than happy to spend their budget with you. Because they’ve already bought from you before. 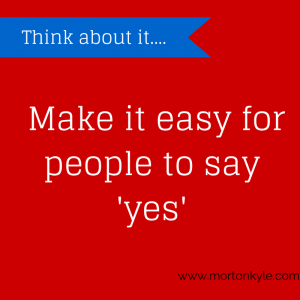 The question is…are you really making the most of this rich seam of half closed business? Or are you too busy chasing new business, cold calling competitor lists and searching for the next lead on LinkedIn? As data restrictions get tighter and more focus is put on inbound marketing campaigns, sales people need to be capitalising on all sales opportunities. 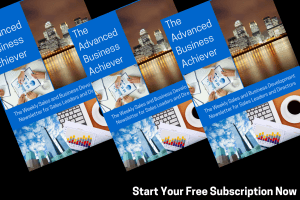 So if you have a business that has more than one product or service to sell then you could be potentially leaving orders on the table in every single sales opportunity you uncover. Now, conservatively, if just 10% of your active customer base took the additional product you’d generate an extra £20,000 for no real extra work. 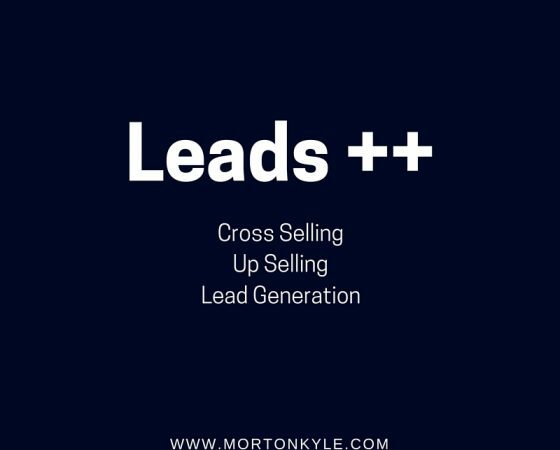 Or, if you’re like one of my insurance clients, your short term (within 2 week) lead generation campaign has a 33% increase in positive leads. Just from simple cross selling. And what if your average order value of the add-ons is much higher. So, now you know, should we talk? Cross selling is the most under utilised business development and growth sequence. To such an extent that most firms with two or more products or services could easily double they sales figures simply by fully exploring the sales opportunities that exist within their current list of current clients. 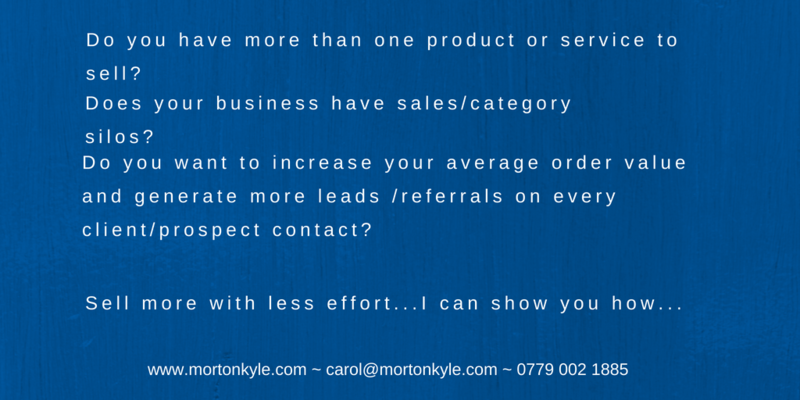 If cross selling is a skill you’d like to drive forward in your business let me know. Most sales professionals claim to sell their whole business solution or catalogue when they talk with clients, yet so few actually do. It’s easy to see the ones who do this religiously, their average order value is consistently higher than the rest of the team. Plus, you’ll find you’ll be able to deliver better sales numbers. And higher margins and higher sales conversion rates. All without increasing the sales team head count. And, if it couldn’t get any better, you’ll see competitors getting locked out of accounts that you’ve sown up. Sticky customers don’t swap providers easily…no-matter what the new sales guy does. So, plenty of wins for the cross selling sales team. Let’s talk about how we can drive the cross selling habit into your sales function today. Should be inherent in every business, but especially those business where their are business silos. Where there are sales silos and customer silos. This often happens in professional service firms where partners are protective of clients, in law firms, accountancy and business advisory firms where each partner works hard to build a close and trusting relationship. Cross selling doesn’t compromise that trust, instead it helps the client enjoy an even closer relationship with the business. Deriving additional value and layers of protection form dealing with just one business. Cross selling is a habit. It’s a great business habit and a customer benefit. Cross selling is a must in a highly competitive world, and a strong source of competitive advantage where senior business leaders are able to take the leap of faith. After all, who would you rather refer your clients to? Someone who sits across the corridor from you or would you rather leave your client to the competition? Cross selling does more than boost your sales, it protects your business long term. This entry was posted in Blog, Business Development, Sales Funnel Creation, Sales Pipeline Management, Sales Training, Selling and tagged Average Sales Order Value, Business Development, Cross Selling, Filling the Sales Pipeline, Hot Sales Leads, Sales Lead Generation, Selling for Professional Services. Bookmark the permalink.